To Geraldine & Joe, on the occasion of their wedding! 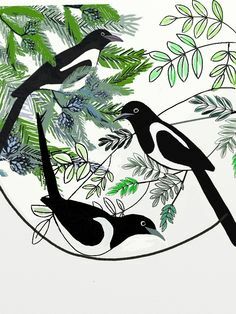 There is an old Irish tradition that three magpies at a wedding signify luck. If not seen, it is said they were there anyway! Wishing Geraldine and Joe all the best on their wedding! As in the air the bell peals rang. And joys to come, and everything!